Such a unique place to visit! We have high quality produce with the fastest turnaround of any fresh market in Durham, see why we've been in business 48 years..
Lots of Pumpkins, Gourds, Mums, Paths and more to explore our Orchard. Durham's Largest & Oldest Fruit stand! COME VISIT US! Let us exceed your expectations today! Simply a unique place. The Brainchild of a 24 year old Native of Durham, Donovan Watson. Visit Today! Its huge! Its Exciting! Its Inspirational! 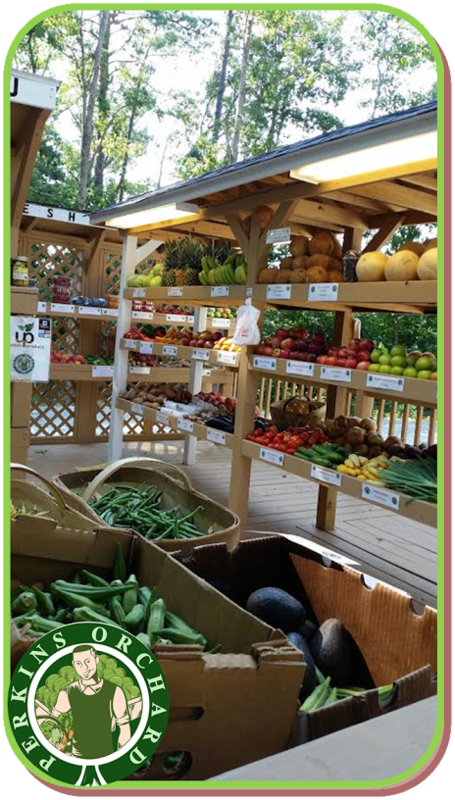 CAROLINA SUNGOLD, BEEFSTEAK, & GREEN TOMATOES! ALL AVAILABLE NOW ! The first frost of the season is coming soon! 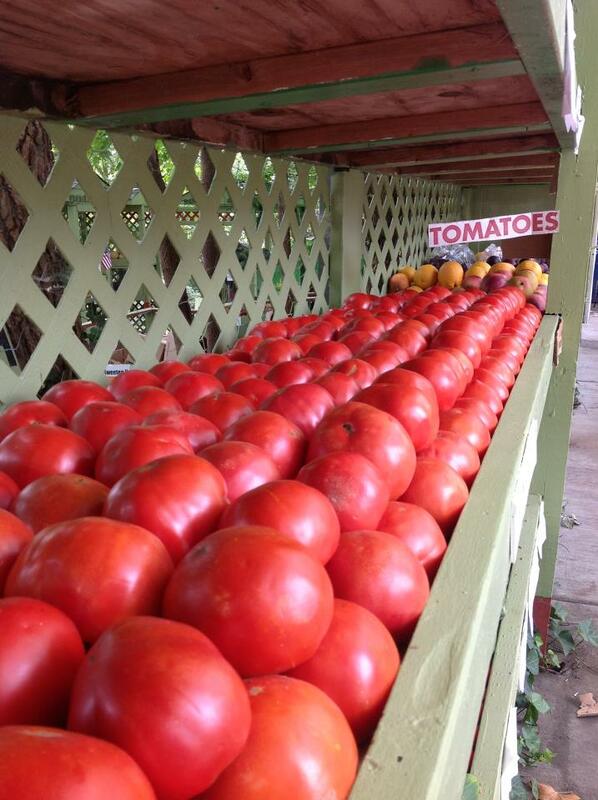 Get these delicious tomatoes while you still can. HAVE YOU TRIED OUR GRAPE SORBET? Muscadine & Scuppernong to be exact. Never heard of it? It's popular all across the south. World's healthiest & more versatile grape. Back this FALL! Trust me, you should fill this out. Tons of info, freebees, & hospitable acts of kindness unlike any other! We will alert you when New Fruits, Vegetables, Edibles, and news come around. WE CURRENTLY HAVE 30 VARIETIES OF APPLES TO MIX OR MATCH IN OUR POPULAR BAG DEAL ! We have been carrying the Orange Flesh Watermelon for the past 7 years. Perkins Orchard is the ONLY Place in the CAROLINA'S with them! OUR 2018 South Carolina Peach Season is Now Over! See you next Spring May of 2019! Thanks for a great run, 50 varieties strong! 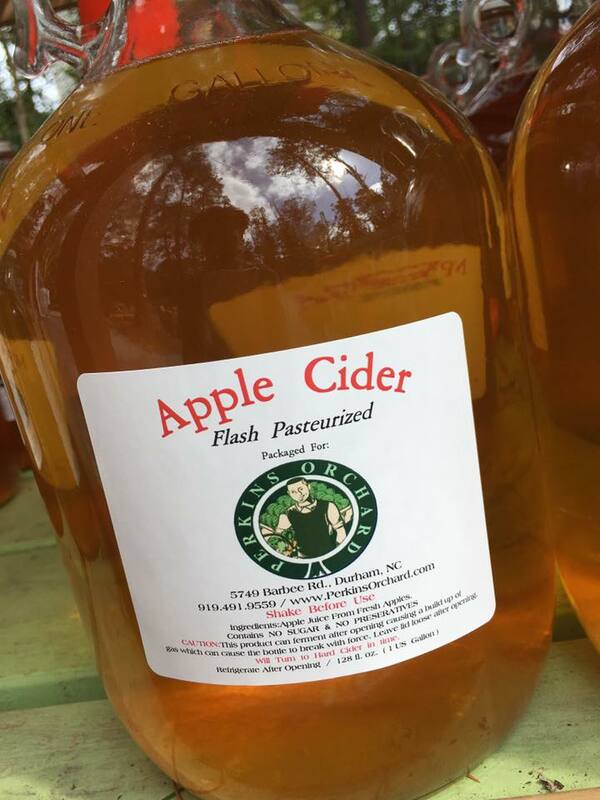 FRESH PRESSED APPLE CIDER FROM NORTH CAROLINA MOUNTAINS. 1 gallon, 1/2 gallon, & 12 oz cups are available. Christmas Time at Perkins Orchard is unlike anything you've ever experienced. 1 acre of land to roam with hot cider while picking out your tree in SNOW! Yes we have snow makers pumping daily to create a unique winter wonderland. We also have lots of Jams, Jellies, Jargoods, Honey, Cider, and more to give as gifts or simply treat yourself. Come join us later this year for some awesome fun! NO SUGAR ADDED, NO DAIRY ADDED! IT IS SIMPLY AMAZING!